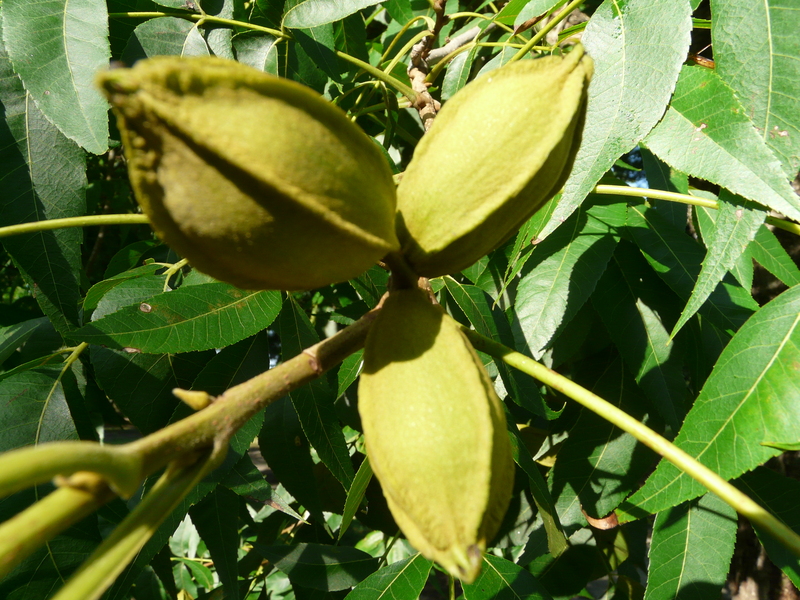 “Black aphids can be one of the most difficult pecan pests to manage because they often slip in, do their damage, and are gone before you know they are there. For this reason, they require pretty intensive scouting on susceptible varieties like Schley, Sumner, Oconee, and Gloria Grande. Anyone growing these varieties probably needs to check for black aphids at least twice a week from July through August. There is normally a flight of black aphids that comes through sometime in early June. These are usually winged adults that come through to feed, damage a few leaves and condition the foliage for the later generations (black aphids reproduce more and develop more rapidly on damaged foliage). 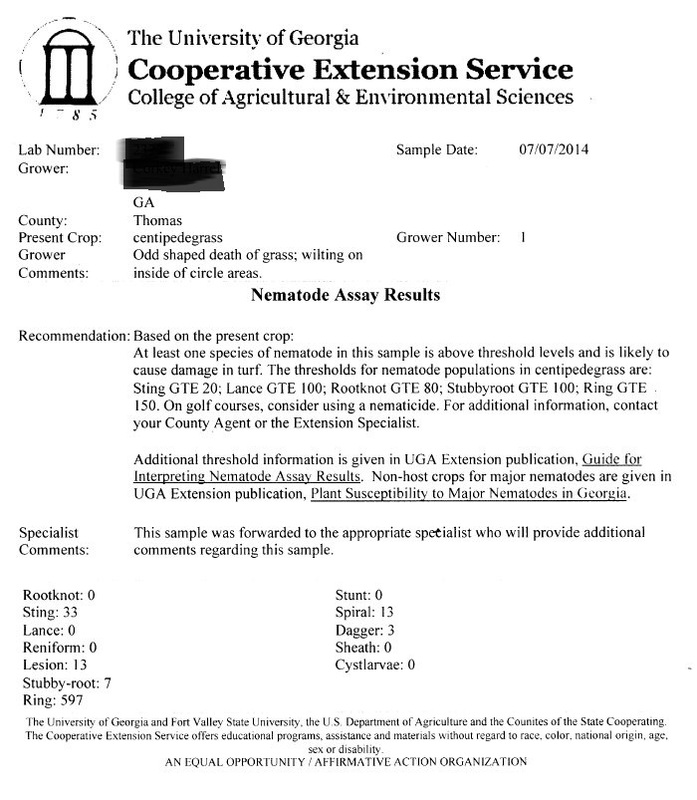 Fall armyworms are in our hayfields now. 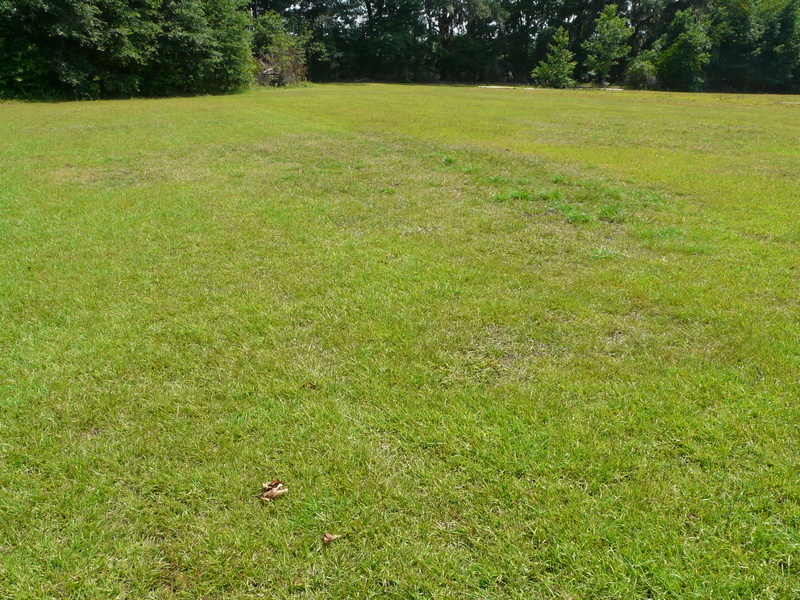 This is a Bermuda hayfield that is down to the stems. 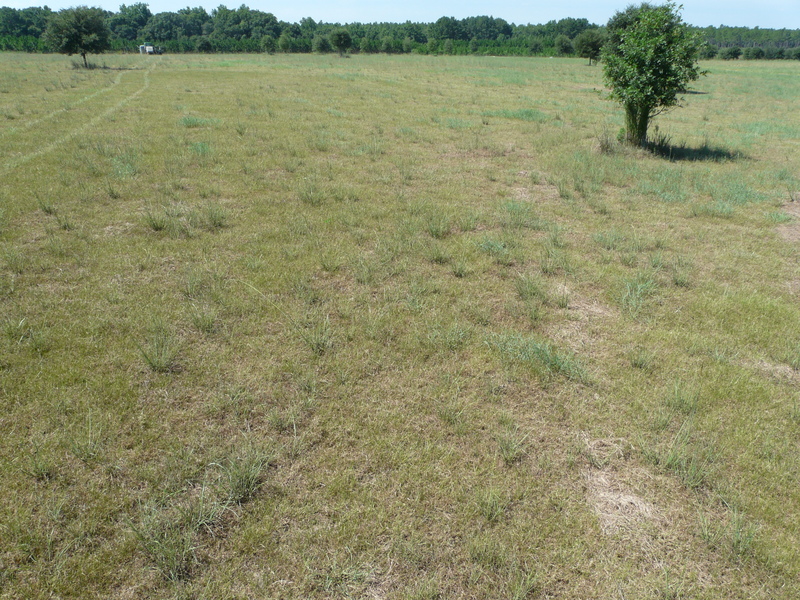 You can see the damage has caused the pasture to look dry with a silver tint. 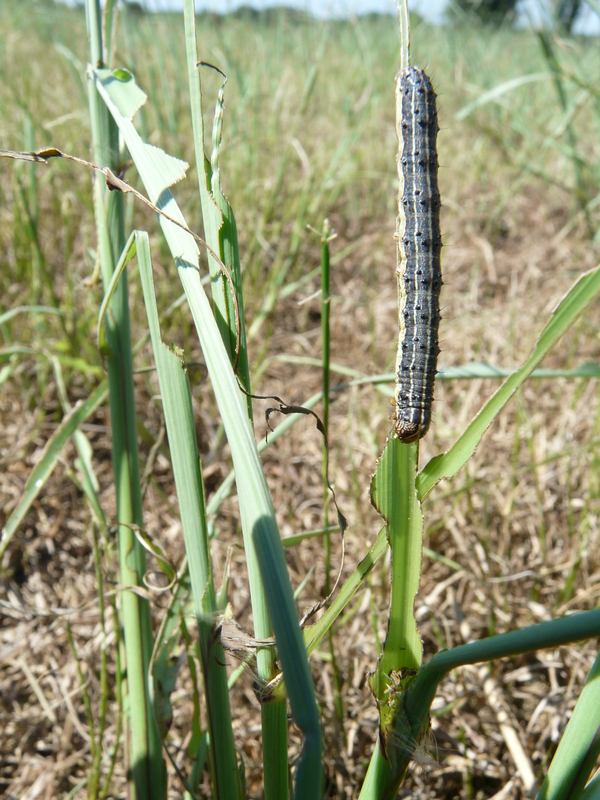 The foliage feeding caterpillars are also feeding on other grasses like this vasseygrass. Just last week, this field was getting close to being cut. The caterpillars move very fast and can do the damage in just a few days. 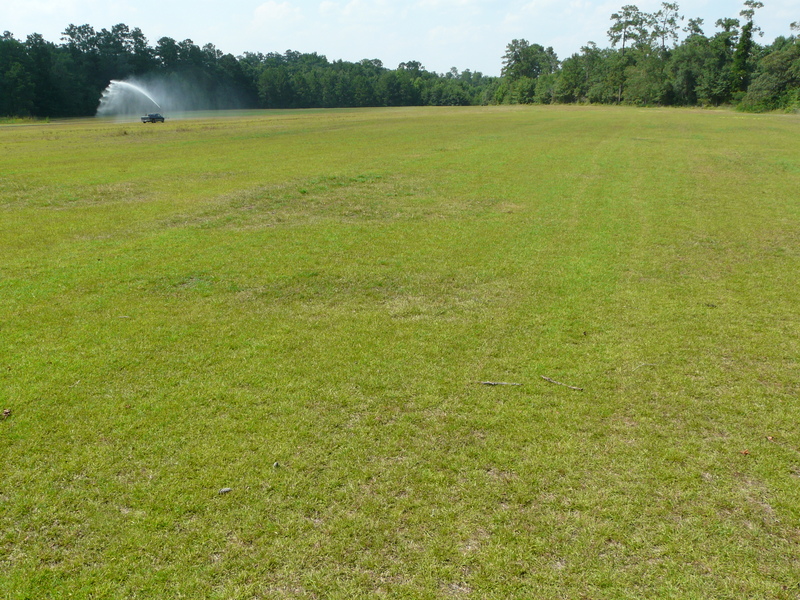 Here is a link to the 2014 UGA Pest Control Handbook Pasture Section. cotton is producing heavy boll load. Aside from applying PGR’s, we’re still looking for insects. Many fields have been sprayed for stink bugs. Brown and Southern Green stinkbugs are present. Most checks are showing 10% – 20% boll damage. The aphid fungus has set in, and aphids are pretty much gone. Many cast skins are seen under the leaves, and some of them have a green to brown wooly fungal mass. 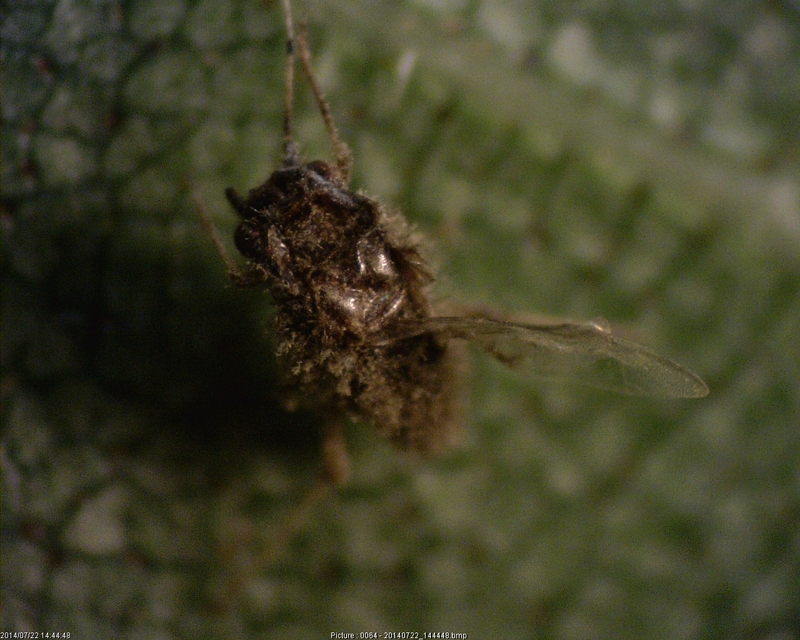 This is not the fungus that killed the aphid, but is a secondary fungus that grows on the dead ones (above). 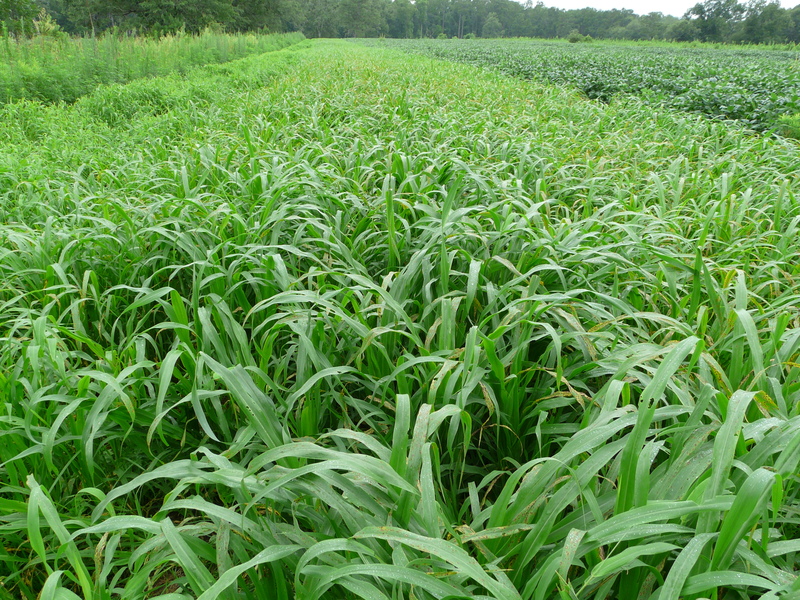 “Our primary method for scouting plant bugs is square retention. Our goal is to retain 80 percent of all first positions as we enter bloom. 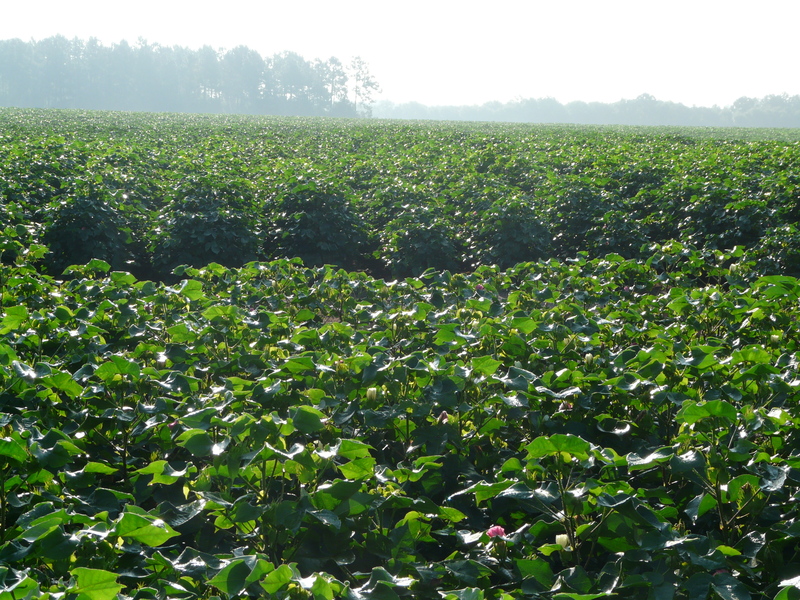 The square retention technique works well in pre-bloom cotton but is not as a reliable technique in blooming cotton as physiological shed confounds counts. 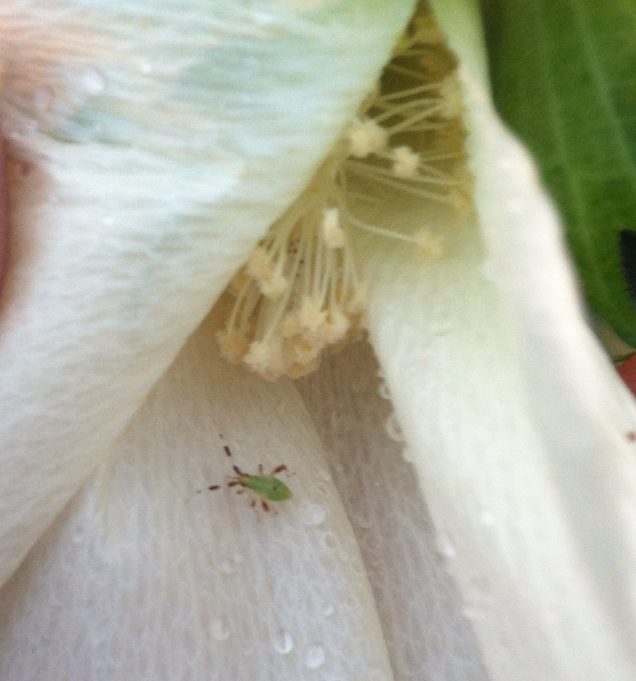 We have also seen clouded plant bugs in addition to tarnished plant bugs. Clouded plant bugs will feed on squares similar to tarnished plant bugs but will also more readily feed on small bolls. 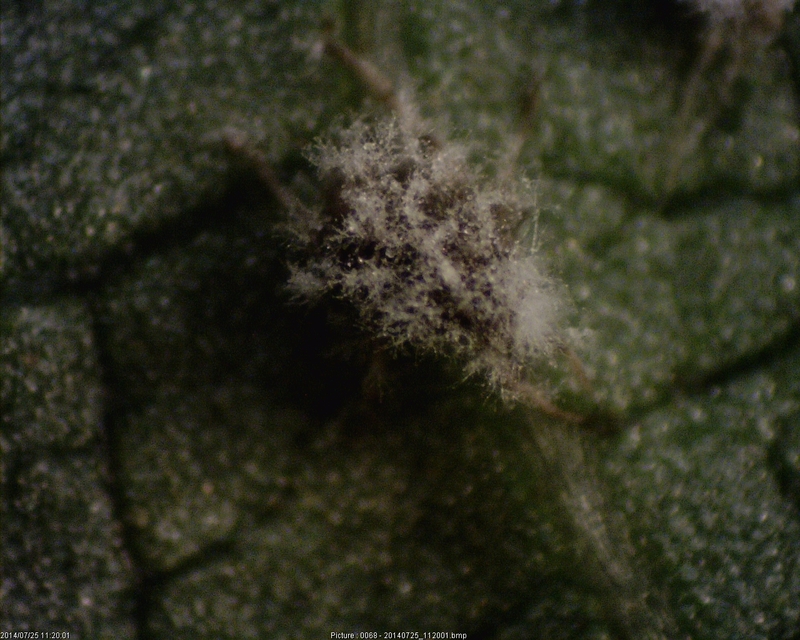 To the left is an immature clouded plant bug taken by scout, Andrew Taylor. The antennae of immature clouded plant bug nymphs are horizontally striped with red and white. A dark-colored spot on the dorsal surface of the abdomen is visible in larger nymphs. 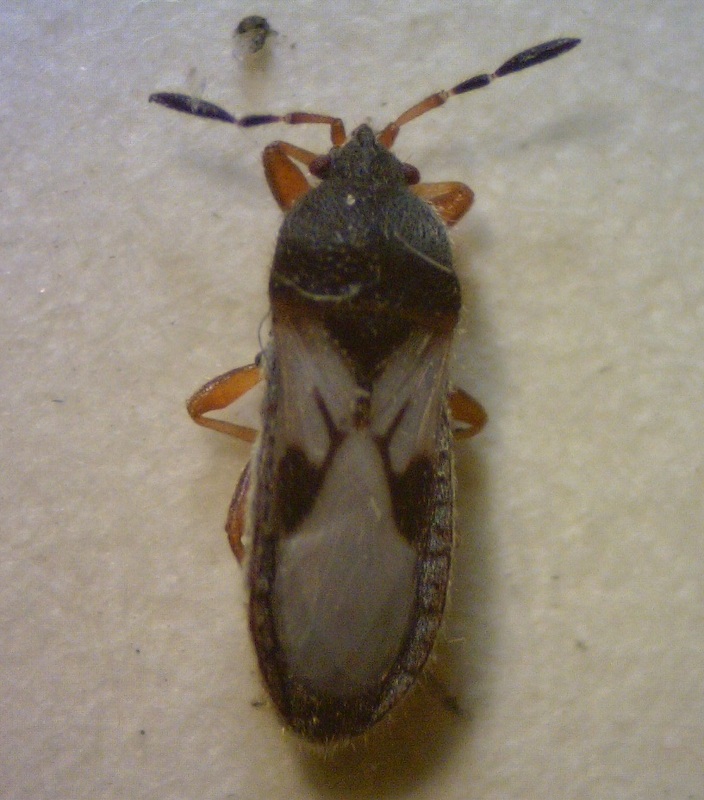 Mid-South Plant Bug Thresholds: Tarnished plant bug thresholds can be used for clouded plant bugs, but clouded plant bugs should be counted 1.5 times when using a sweep net. Note that the threshold is higher during the third week squaring and bloom compared with the first two weeks of squaring. We were looking at some pearl millet on a plantation that has some leaf spots. Its planted next to soybeans which they thought may have been some spray drift. The browntop millet on the left is not affected. It’s actually a leaf spot disease. I once saw this in rice on a plantation a few miles away. The lesions on the leaves are elliptical or diamond shaped. 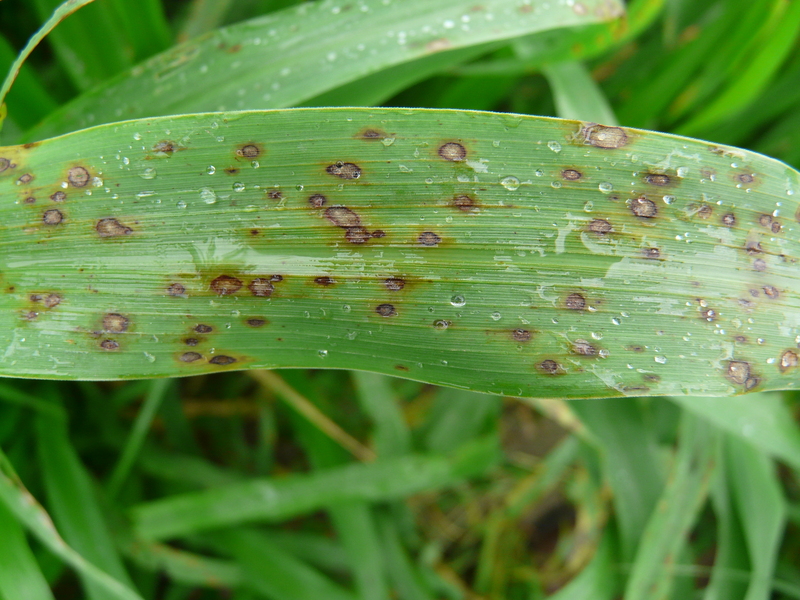 Pyricularia leaf spot is also called rice blast on rice and is the same as grey leaf spot in turfgrasses. This is actually just grown for cover crop. The armyworms are causing more damage in other areas on the plantation than the leaf spot will do in this situation. Here is a link to Fungal Diseases of Pearl Millet. We’ve had lots of leaves dropping off pecan trees. This is brought in many residential calls associated with this also. Its an environmental effect of rain following a period of dry weather. We started out this season much like last season in terms of rain, and it shut off around June and through the Fourth of July. Recent rains have saturated the soils essentially drowning some of the pecan roots. 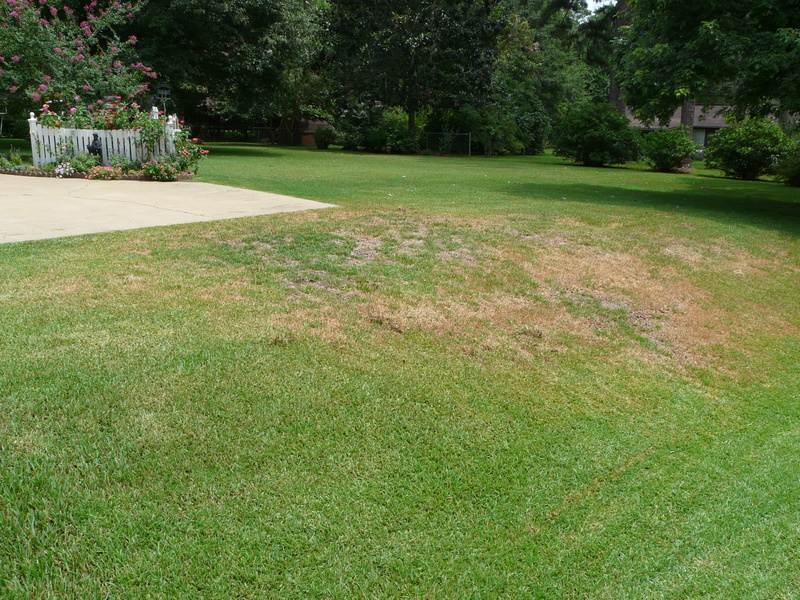 In residential situations, leaves dropping is also a result of scab disease pressure. There is nothing that can be done about either.